For applications, with more frequent cycles are needed. Sizes range from More frequent cycles are present. Used for applications where high speed and low duty cycle are required such as dock doors and internal walls. 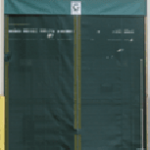 Paylon screen mesh doors offer an economical solution for blocking birds and/or bugs while maintaining maximum airflow for ventilation. Rollup Bug Screen Doors can work in conjunction with your existing steel doors. 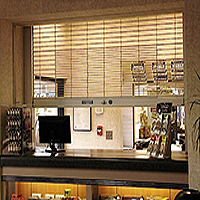 Sliding bug door curtains are most commonly used in areas with minimal traffic or to cover large openings. 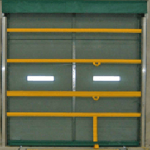 Bug screen dock doors are commonly used in truck loading areas in a warehouse. The Commercial Retractable Bug/Bird Door moves side to side thus allowing you to quickly and easily pass through. It can block birds or insects from entering the facility while maintaining maximum air flow for ventilation. These doors are exceptionally useful for truck loading areas in large warehouses. They are custom made to order. Bi-Parting doors are optional. The Manual Commercial Roll-Up Bug Door is great at giving maximum air-flow ventilation (which will lower your cooling costs) while giving maximum protection against flying insects, birds, rodents, or flying debris. You can manually push them up and down. Depending on your application, we can offer you two types of manual bug doors: Spring Loaded or Chain Hoist. They come with custom sizes. 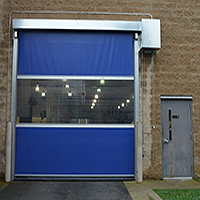 The Motorized Commercial Roll-Up Bug Door is a great choice if you want to protect your warehouse or industrial facility from pesky insects or birds. With as much as one push of a button, the door will open or close. It is fast, energy efficient, easy to install, and offers amazing protection. As the other doors, these also come with custom sizes and applications.